With a beautiful crisp White finish and Carrera White Marble top, the 92" London Double Sink Vanity makes a striking center piece for any modern bathroom. 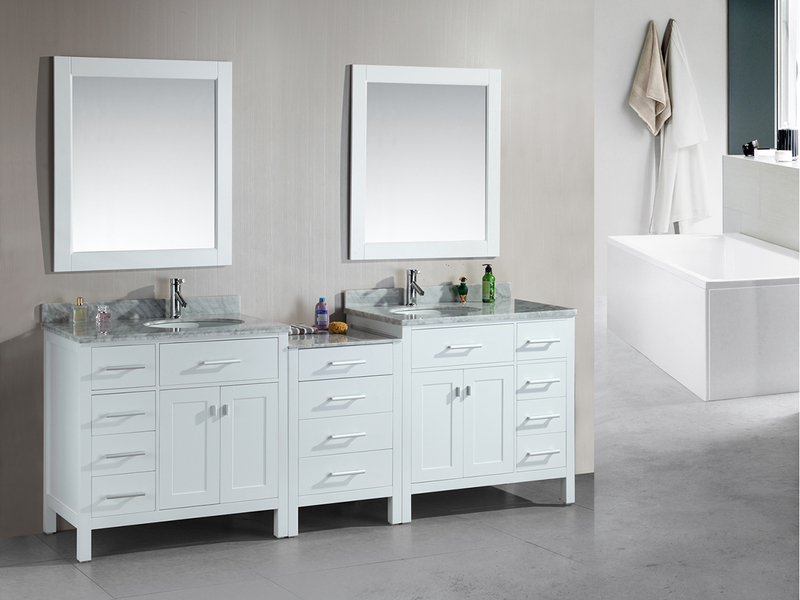 It combines one left-sided and one right-sided 36" London Vanity with a central drawer bank in the middle to give you a total of eight small drawers, four large drawers, two double-door cabinets, and two pull-down panels for all your bathroom necessities. Each of these storage compartments are adorned with a Satin Nickel handle for easy access and a beautiful accent to the brightness of the White finish. 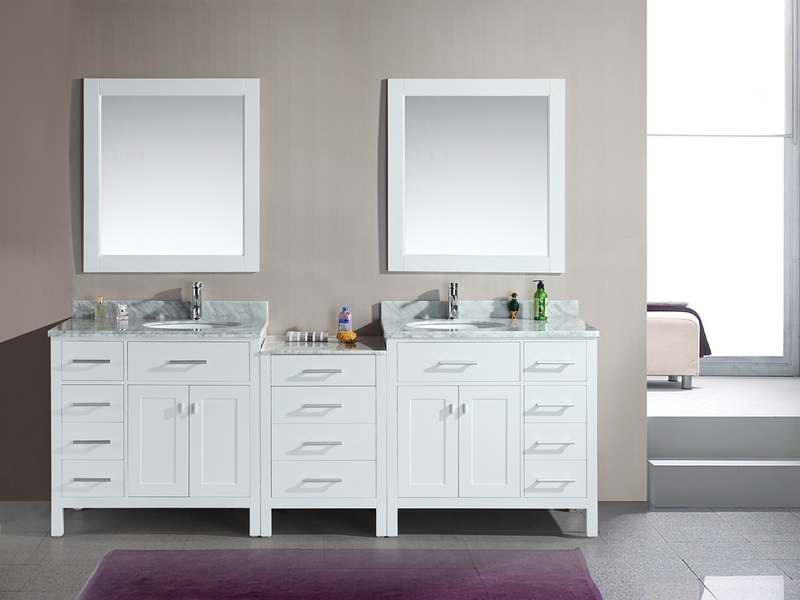 This vanity also comes with two porcelain undermount sinks and matching framed mirrors!